The first two models of DRAG bicycles are launched: DRAG Ontario and DRAG Grizzly, both of which came to enjoy international popularity. 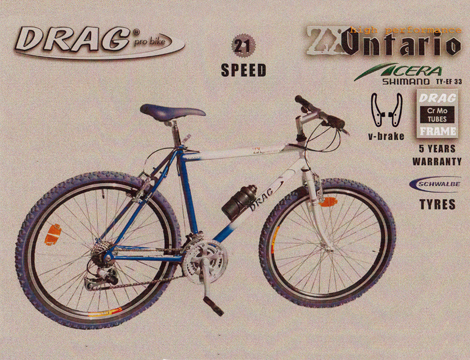 DRAG bicycles are launched on the international market. Mass production of 18 models under the DRAG brand and participation in the first international bike fair in Köln, Germany. By this time the company is already producing 34 models of bikes on sale in Europe, UAE, and Turkey. 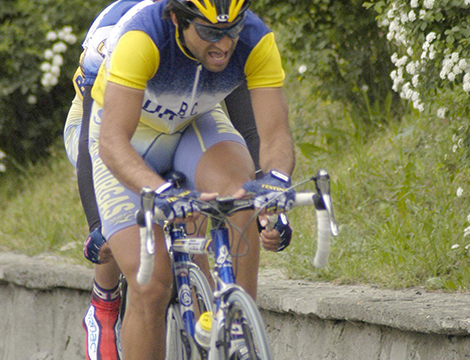 Back home in Bulgaria Radoslav Konstantinov wins a leg of the Tour of Bulgaria with his DRAG Master. 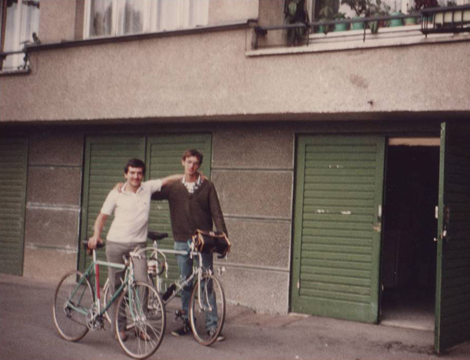 Velomania, manufacturer of DRAG, is co-founder of the Association of Bulgarian Bicycle Producers (ABBP) which later becomes a member of COLIBI. First DRAG bike shop opens in Sofia. Svetoslav Chanliev wins the Tour of Turkey and becomes Bulgarian champion with DRAG Master Team. Opening of flagship cycle store in Sofia under the DRAGZONE brand. Ivailo Gabrovski becomes champion of Bulgaria, wins the Tour of Turkey and comes 5th in the Tour of Marocco with DRAG Izoard. DRAG Expert becomes the bike of choice for the Italian rangers and is still used by them. 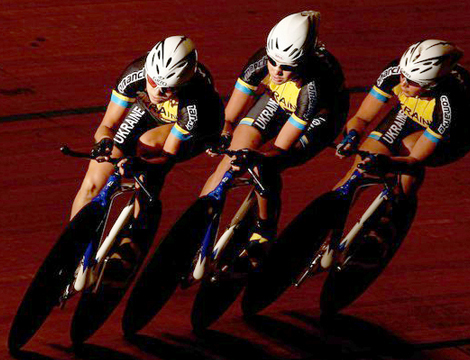 The Ukrainian national women’s track team – Svetlana Galyuk, Lesya Kalitovska and Lyubov Shulika – wins bronze in the team pursuit at the Melbourne World Cup with DRAG Bluebird. 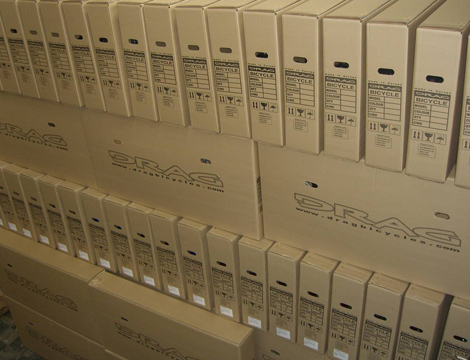 DRAG starts working with SR Suntour and Sanyo to produce electric bikes. 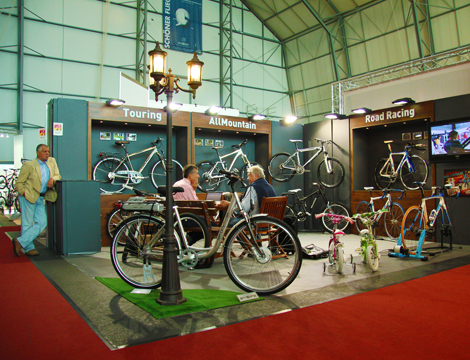 DRAG with its own stand at the world’s largest bike fair, Eurobike in Friedrichshafen, Germany. Lyubov Shulika wins the World Cup sprint with DRAG Bluebird in Copenhagen, Denmark. Gold medal for e-bike DRAG E-Motion at the International Plovdiv Fair. Hannah Solovey of Ukraine wins Gold at the European Cup in Turkey and gold at the Road Racing World Cup with DRAG Bluebird. 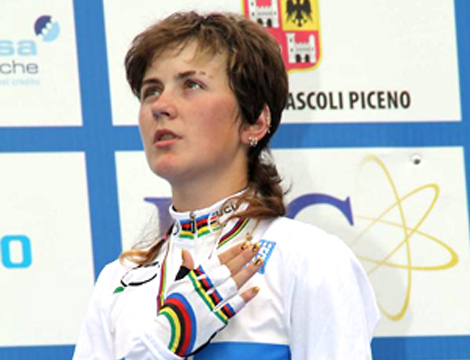 Lyubov Shulika of Ukraine wins Bronze at the European Track Cycling Championship. Lyubov Shulika wins Gold in at the Track World Cup in Beijing. Lyubov Shulika becomes European track sprint champion on DRAG Bluebird. 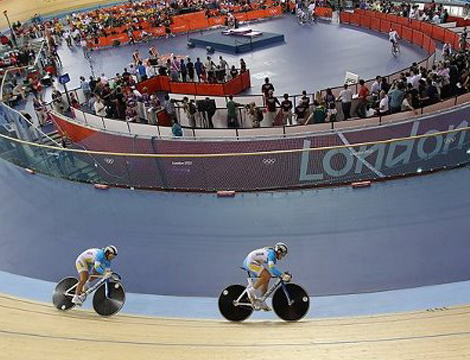 Ukrainian national team ride DRAG Bluebird in the track events at London 2012 Olympics. 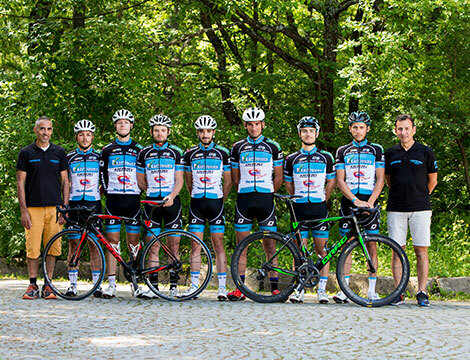 Lithuanian national team start riding DRAG Bluebird for road and track events. Bulgaria’s best track cyclist, Miroslav Minchev, moves over to DRAG Bluebird. 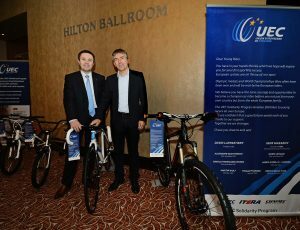 DRAG Bicycles becomes official supplier of UEC. 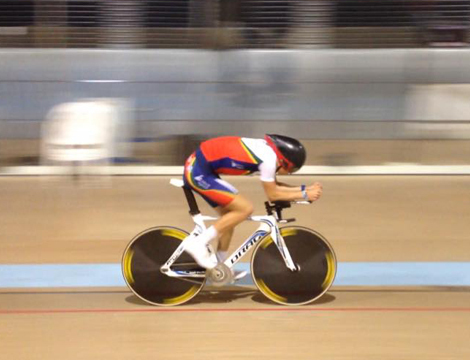 Ivo Oliveira, Portugal – World and European track champion for season 2014. DRAG Bicycles revives the classic Vitosha Uphill road race. First Bulgarian fatbike DRAG Tundra is launched. Korean Hiyejin Lee wins silver in Women’s Sprint with DRAG Bluebird at the Asian Games. Martigues SC DRAG Bicycles (pictured) is the new name of the French Martigues road racing team with an 80 year history. DRAG Bicycles becomes official sponsor of Coupe de France road cycling cup and official partner of the French ACCDN-ROCC Tour. 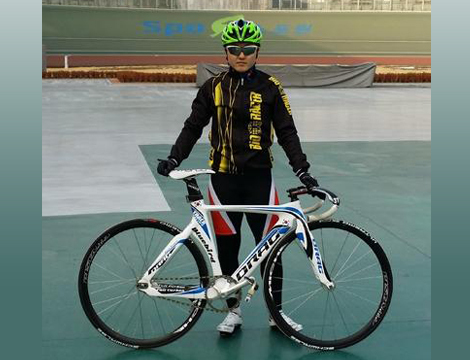 Korean Huyjin Lee wins Team Sprint, women at the 35th Elite Asian Track Championships. 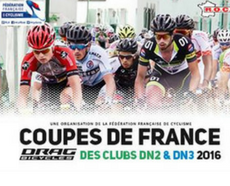 DRAG Bicycles is official sponsor of Coupe de France road cycling cup for a second year – Division 2 and 3 and Women’s division. 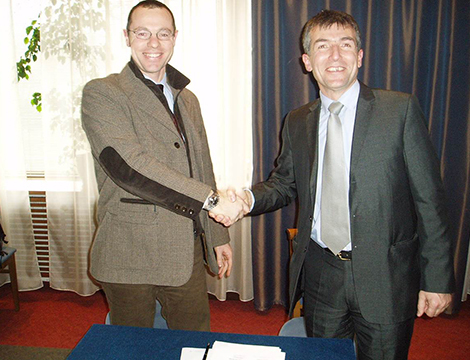 DRAG Bicycles continues its successful partnership with UEC (European Cycling Union) as official bicycle supplier. DRAG’s CEO honoured with UCI position. In what is a big recognition for the DRAG brand and the Bulgarian cycling community as a whole, Dragomir Kouzov, CEO of DRAG, was named a member of the UCI Equipment Commission (Union Cycliste Internationale) on November 9 in a letter from the President of the UCI, David Lappartient. 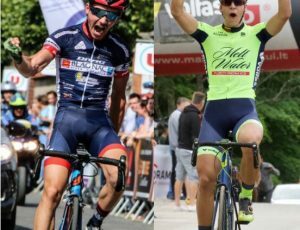 We are pleased to announce 2 new partnerships with road cycling teams: GSC Blagnac Vélo Sport 31 (The French Division 1 team is based in the town of Blagnac in the Midi-Pyrenean region, founded in 1897) and Klaipeda Cycling Team (a U23 Lithuanian team with Team Captain – Rojus Adomaitis, 2015, 2016 Lithuanian Junior Road Race Champion and 2018 Lithuanian U-23 Road Race Champion.